Molly Catchen is a Staff Attorney in the Housing Law Unit. She represents low-income tenants in eviction and housing conditions cases before the D.C. Superior Court. She also litigates housing law claims before administrative bodies, such as the D.C. Housing Authority and the Office of Administrative Hearings. 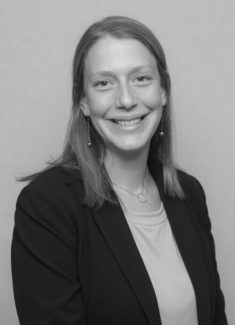 Prior to joining Legal Aid in April 2017, Molly worked for the Maryland Office of the Public Defender where she represented parents in all stages of child welfare proceedings. Prior to that position, she was a law clerk to the Honorable Janet E. Albert and the Honorable Mary Grace Rook of the D.C. Superior Court. Molly graduated in 2012 from the City University of New York School of Law and received her B.A. from Mount Holyoke College. While in law school, she interned at the Urban Justice Center, Vermont Legal Aid, and Advocates for Children of New York. Return to main staff page.